In the morning you have to grab your wallet and pocket knife before you leave, or you could just grab the Browning Money Clip. 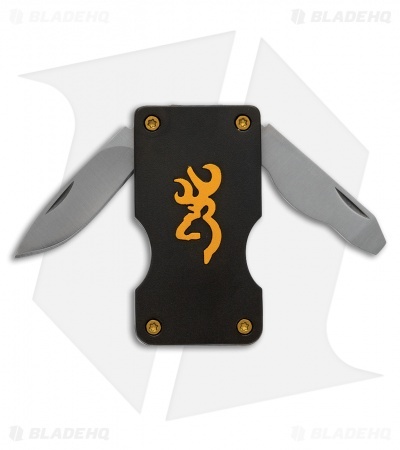 This is a handy multi-tool money clip with a manual folding knife and screwdriver. 440 stainless steel, drop point blade has a satin finish. Screwdriver has adjustment tool for coin-slotted rifle scope knobs. Ultra-thin construction of the handle is made of black finished aluminum with a lock back mechanism.